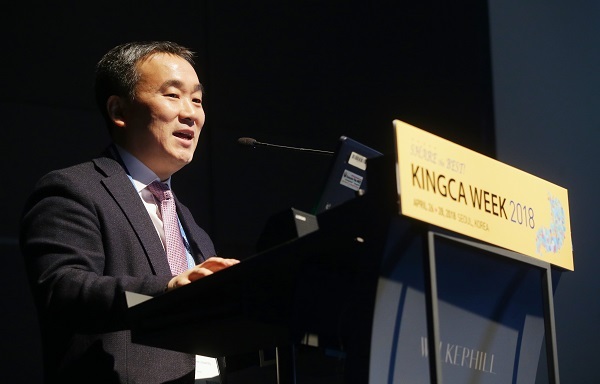 유럽에서는 Siewert 분류(Chirurg 1987;58:25-32)가, 일본에서는 Nishi 분류(1973)가 사용됩니다. 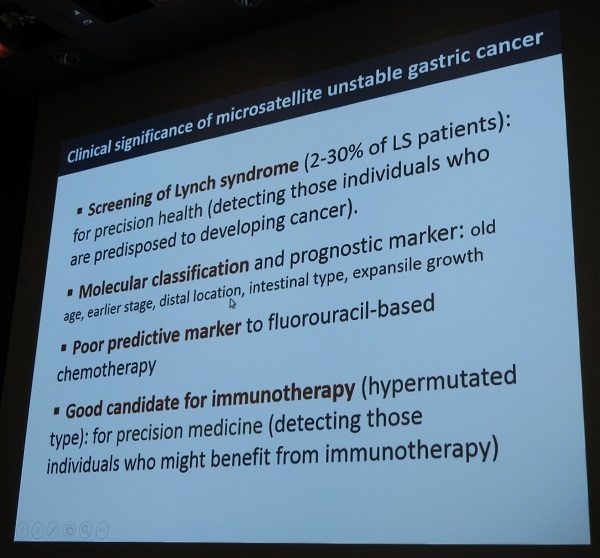 His angle에 위치한 GEJ cancer의 내시경 치료 전략: 식도 쪽을 먼저 절제한 후 위 부분을 절제한다. 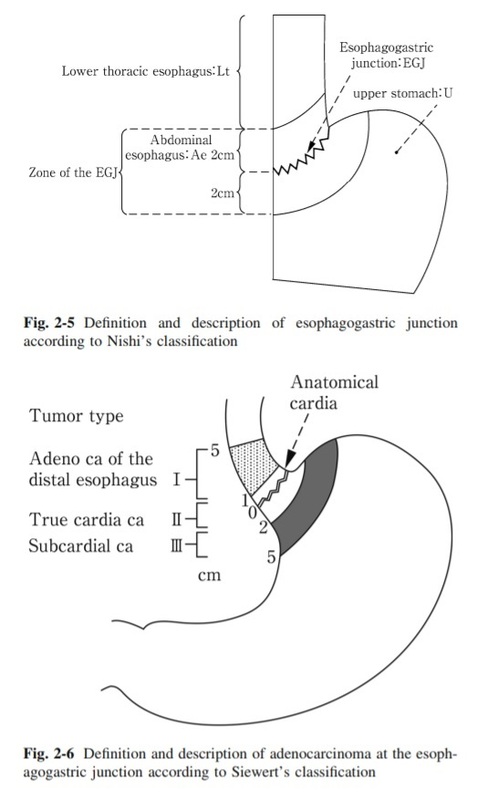 Oda 선생님은 Dual knife로 precutting을 하고 IT-2 knife로 submucosal dissection을 하는 비디오 클립을 보여주었습니다. 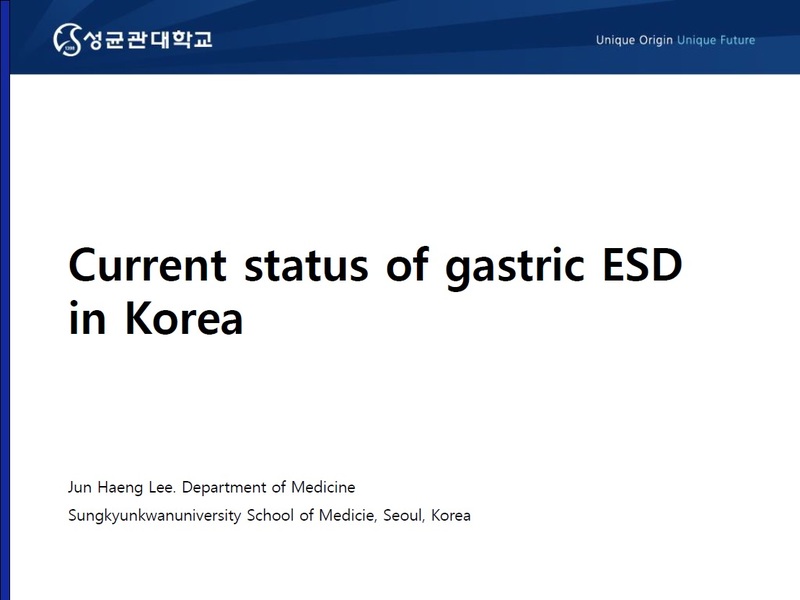 동경암센터에서는 매년 gastric ESD 500예, 식도 ESD 200예 정도 시행되지만 GEJ 암에 대한 ESD는 5-10예 정도 시행된다고 합니다. 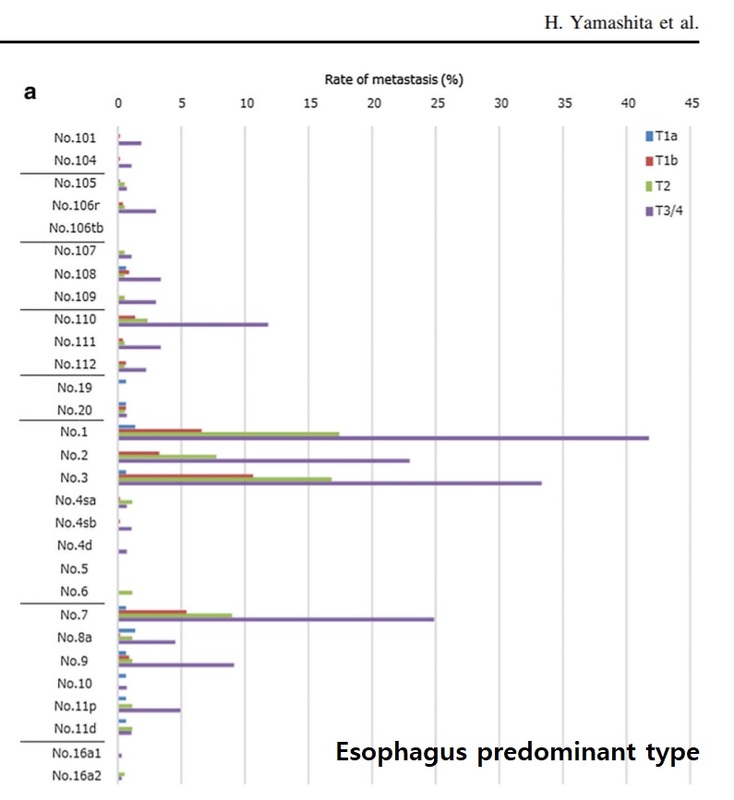 Type I GEJ adenocarcinoma should be regarded as similar to esophageal cancers, and treated like esophageal cancer with preoperative CCRT followed by esophagectomy and mediastinal lymphadenectomy. 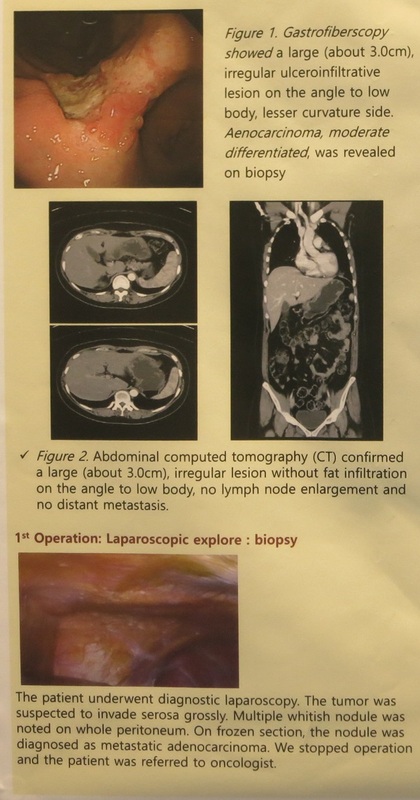 Type II and III GEJ adenocarcinoma should be regarded as similar to gastric cancers, and treated like gastric cancer with total gastrectomy and D2 lymphadenectomy. 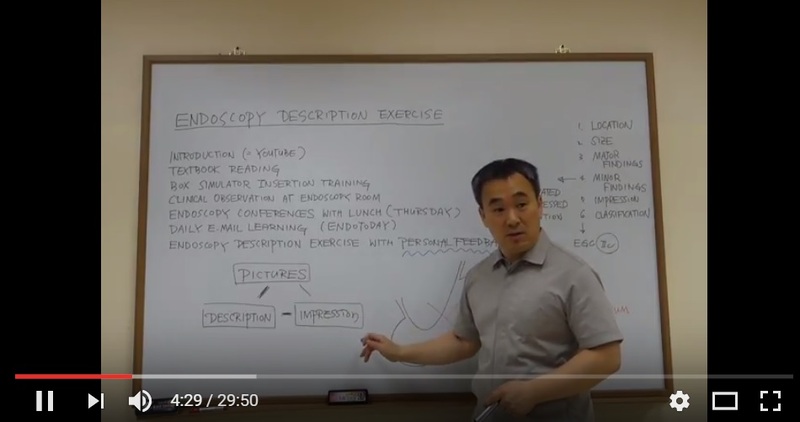 Traditionally learning endoscopy means learning endoscopy insertion techniques. 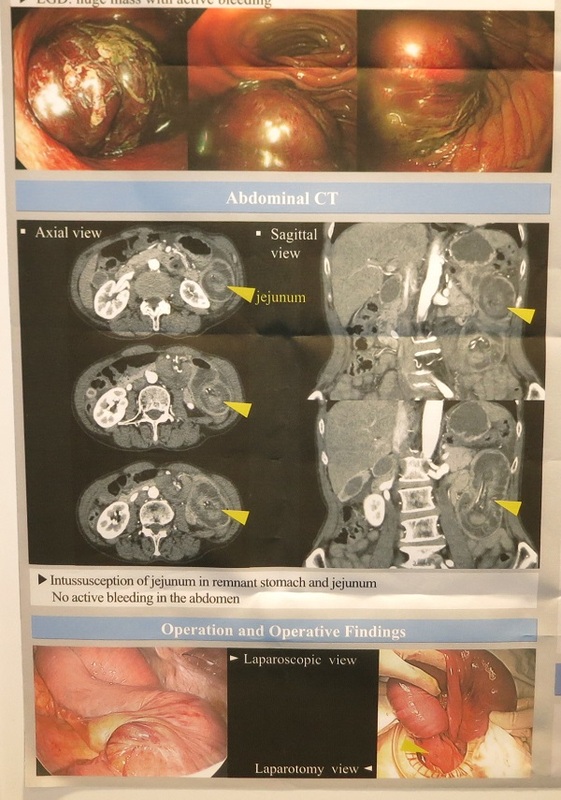 After observing a few cases, I just started inserting the endoscope into the patient’s stomach. 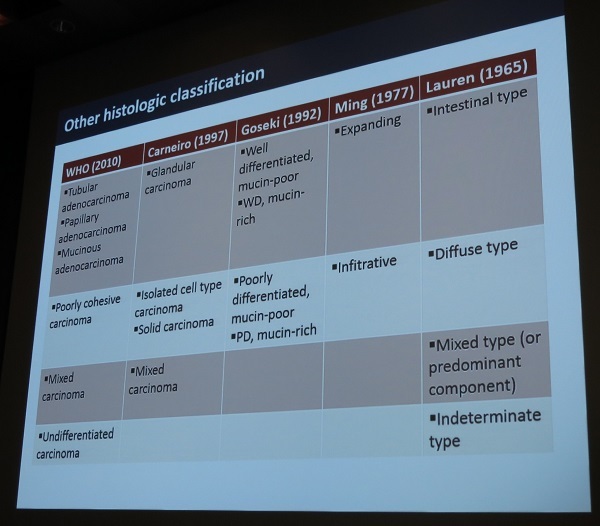 When I found an ulcer or polyp, I had no idea whether it is benign or malignant. But everything changed. Or everything must be changed. 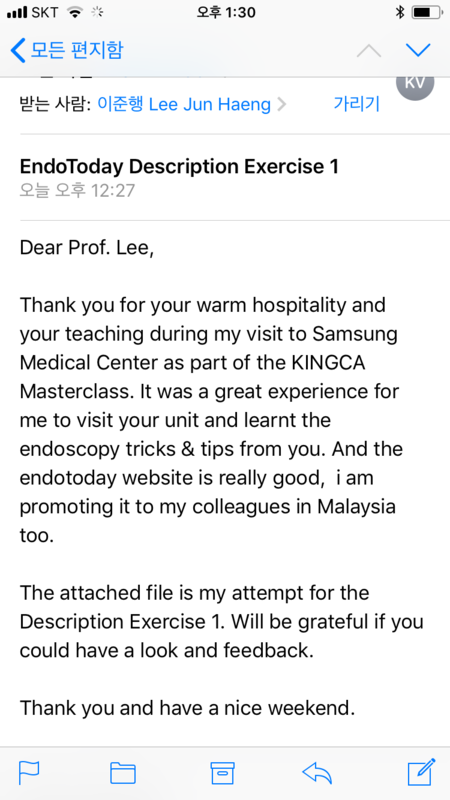 You should not insert the endoscope without sufficient training. 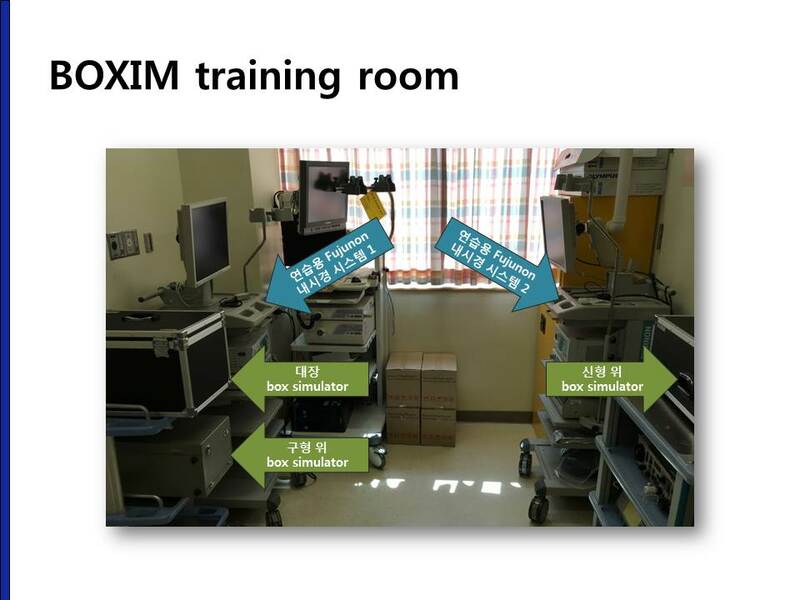 Our endoscopy learning program at Samsung Medical Center starts with BOXIM, which means box simulator training and DEX, description exercise. 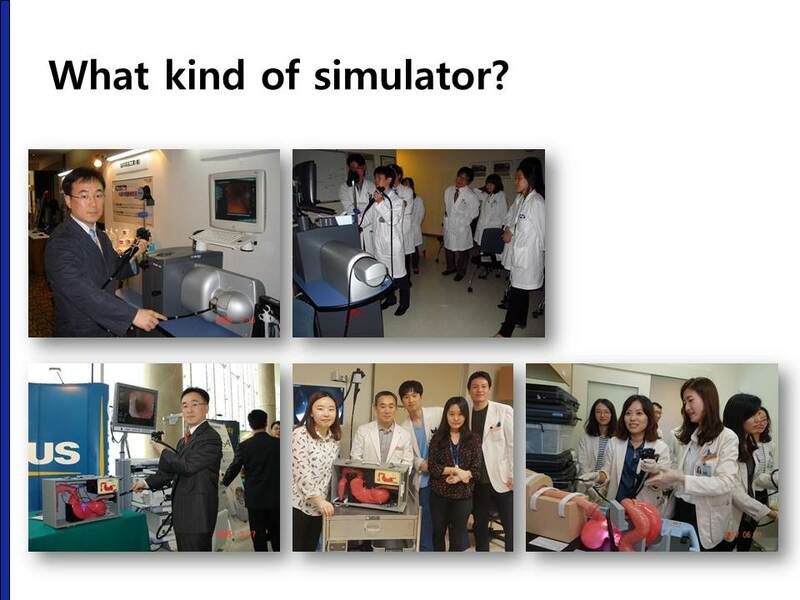 There are many kinds of simulators. 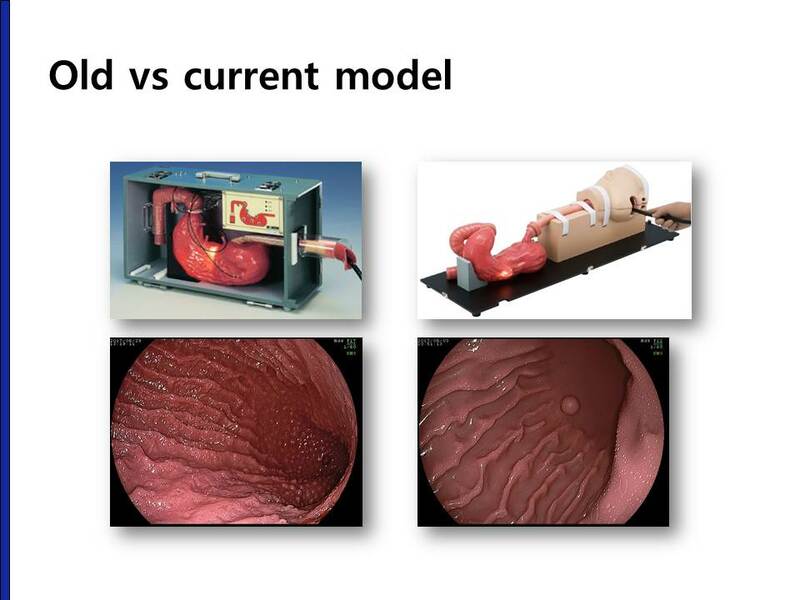 Pictures on the top are full electronic endoscopy simulator, GI Mentor and GI Mentor II. Although expensive, we don’t use it anymore. 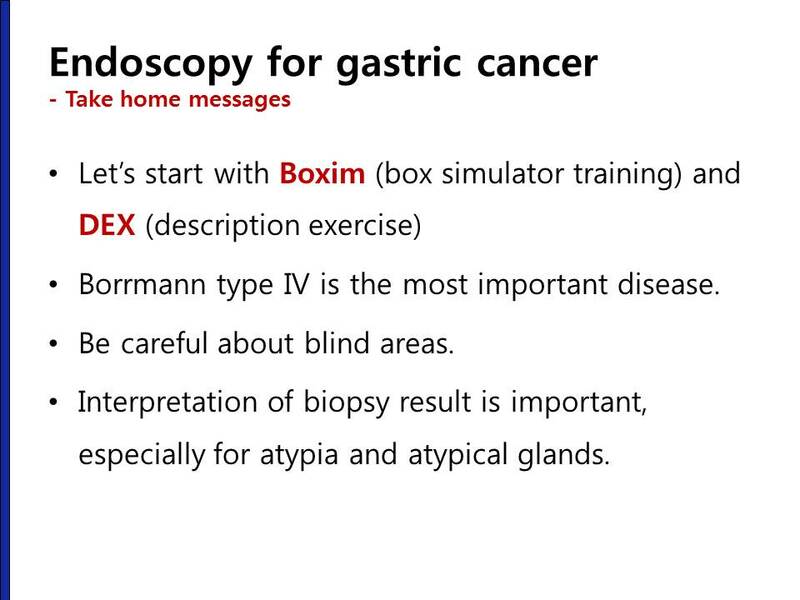 I think box simulators are much useful than GI Mentor II. 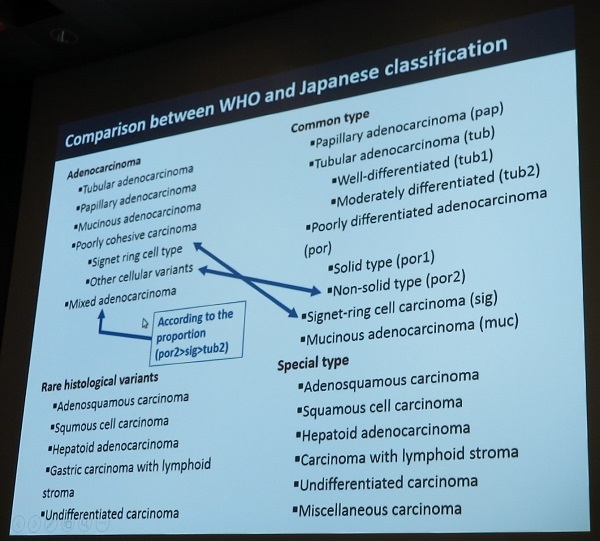 The left-hand side is the old style, and the right-hand side is the new model. We start with old style simulator because it is easier to teach and learn. 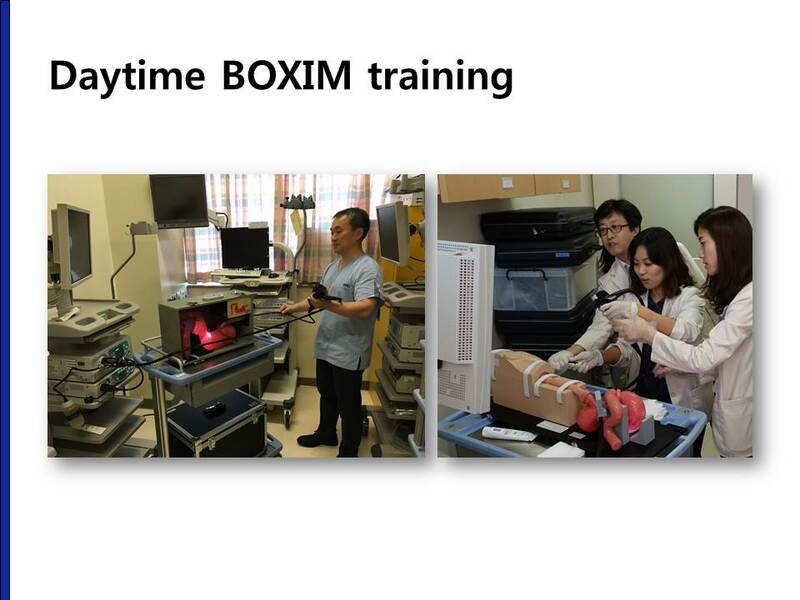 We started box simulator training in the year 2005. However, our training session was always in the evening. Why? Because we didn’t have a training room. So, I changed a small warehouse into the box simulator training room. 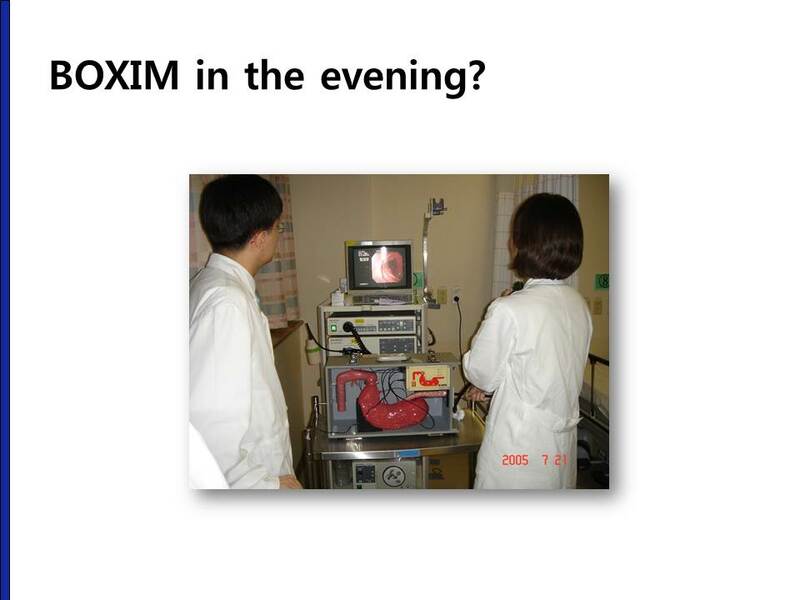 Now, we can teach and learn the basic endoscopy skills in the box simulator training room before the sunset. 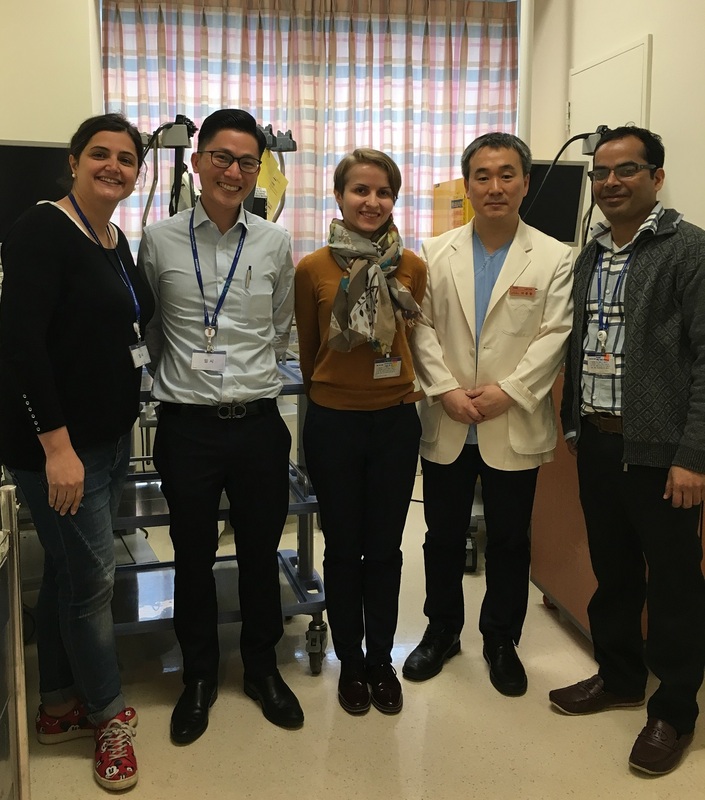 A few days ago, box simulator training session was held for the foreign doctors in the KINGCA Master Class in the BOXIM training room. 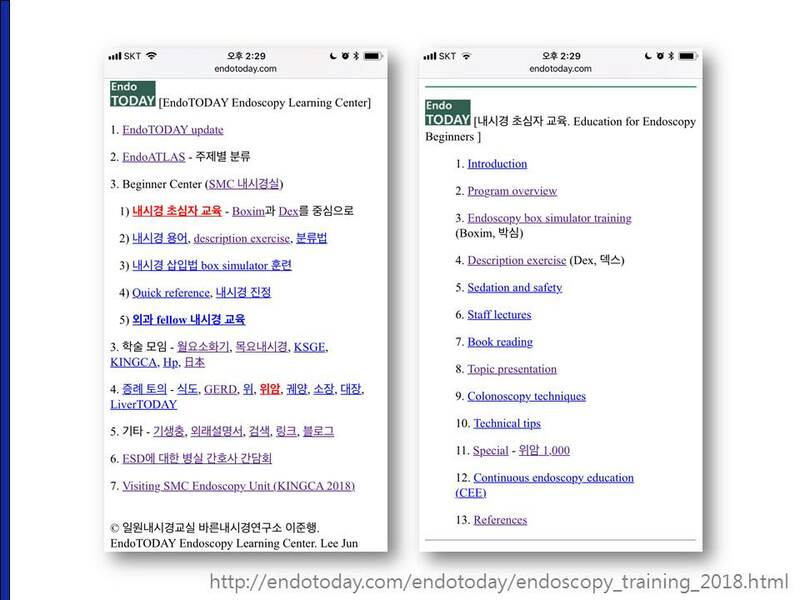 All the education materials for endoscopy beginners are available at my personal homepage at endotoday.com. 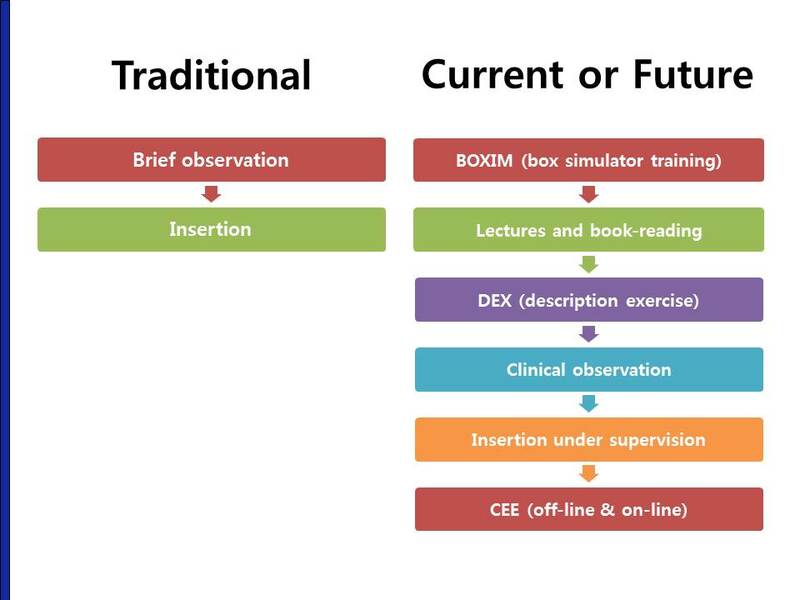 The next course after BOXIM training is description exercise. 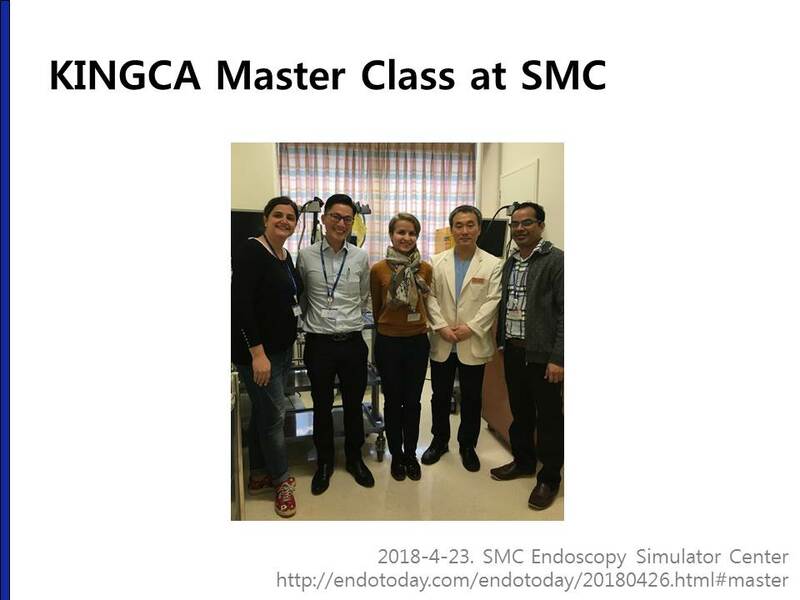 The beginners make a description for the endoscopy cases following the SMC style, which means location, size, major finding, minor findings, impression and classification. Teachers usually give personalized feedback. 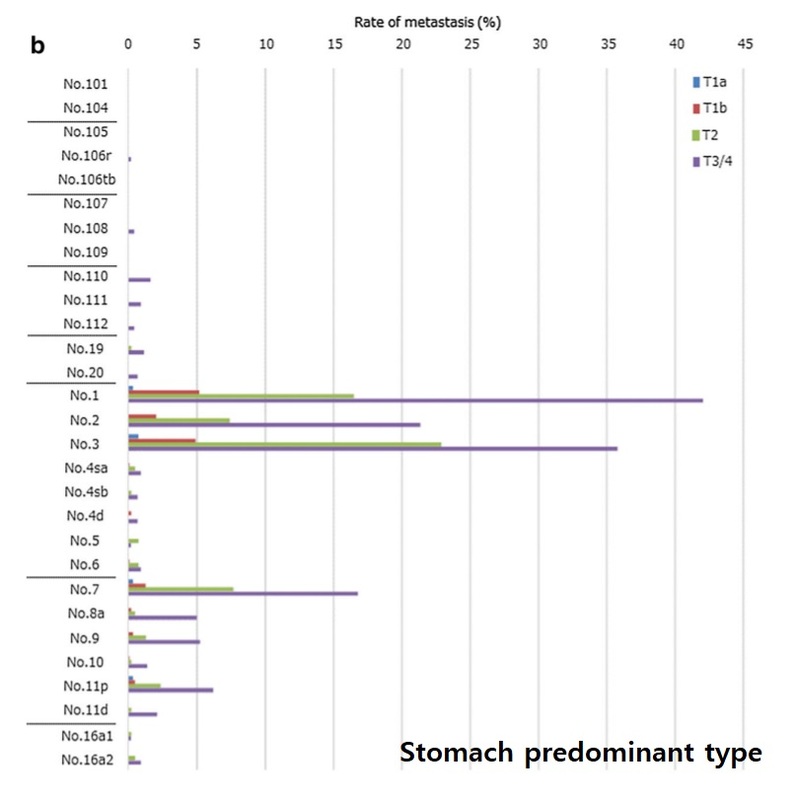 1) 수술장에서 peritoneal seeding nodule로 생각되는 병소가 있어 frozen을 했는데 metastasis로 나와 O&C를 한 환자였습니다. 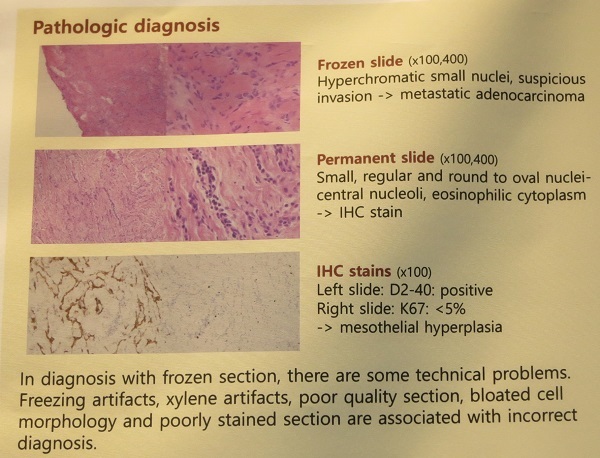 Formal report는 전이가 아니고 mesothelial hyperplasia였다고 합니다. 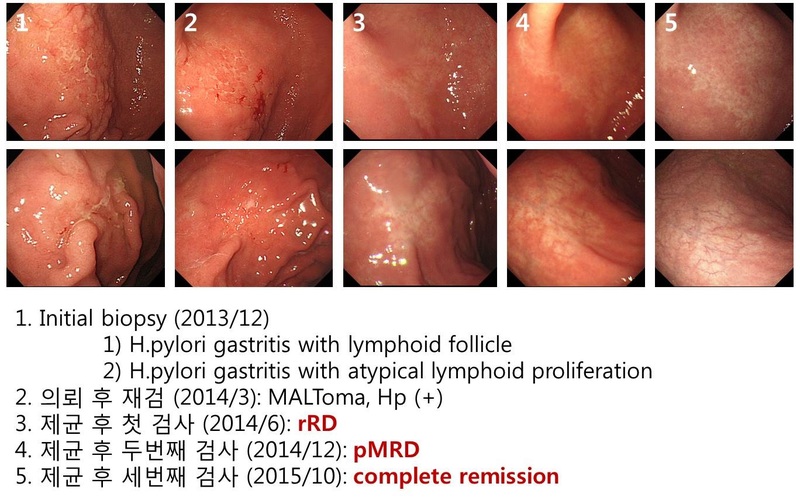 다시 수술을 하였습니다. 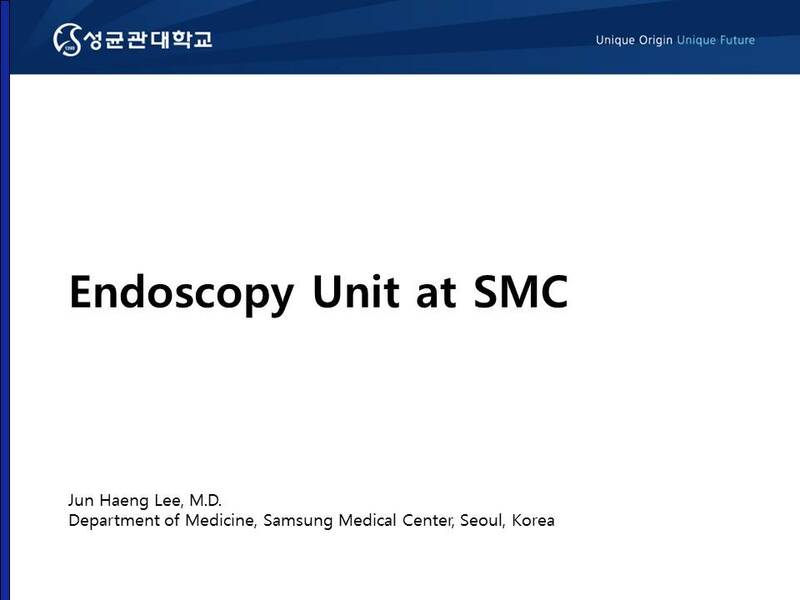 환자는 고생을 많이 하셨지만 그대로 다행인 경우입니다. 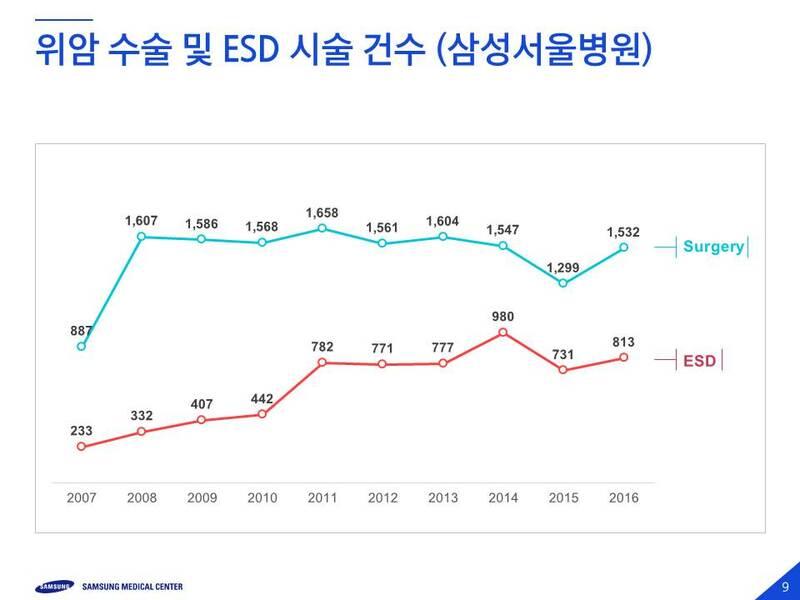 위암팀 외과에 training을 오신 선생님을 대상으로 ESD와 내시경에 대하여 간단한 introduction을 하였습니다. 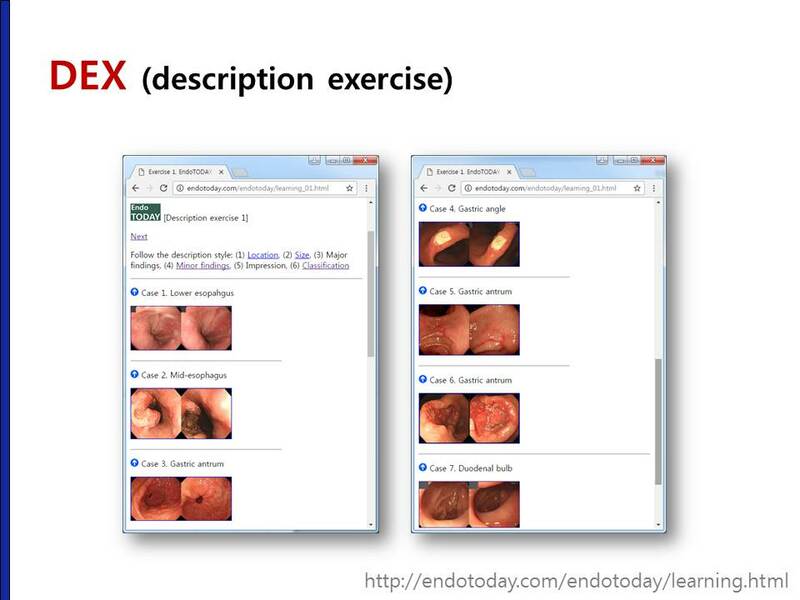 2) Description exercise (DEX): 기본 강의(YouTube 동영상)는 각자 공부한 후, 함께 7문제를 풀었고, 이 후 35문제를 풀어 이준행에게 mail을 보도록 하였고 첨삭지도를 하였음.